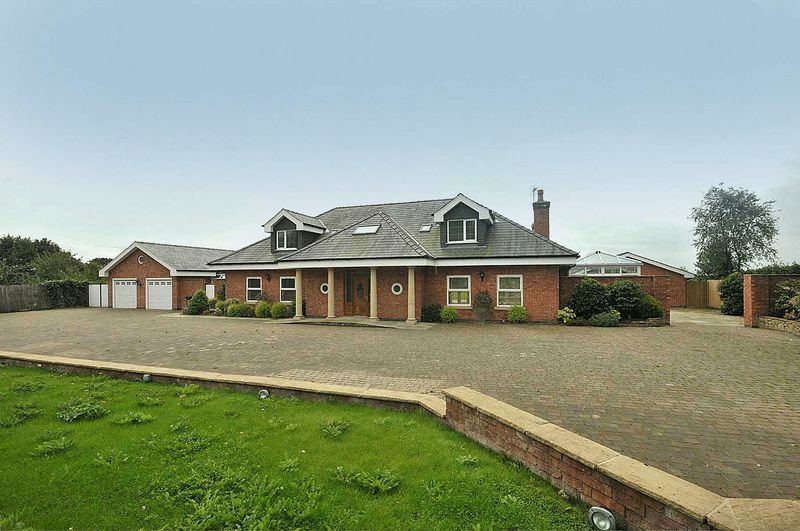 This beautifully presented and expansive detached house occupies a rural location with a magnificent view across adjacent green belt farmland and sits within 1.6 acres. 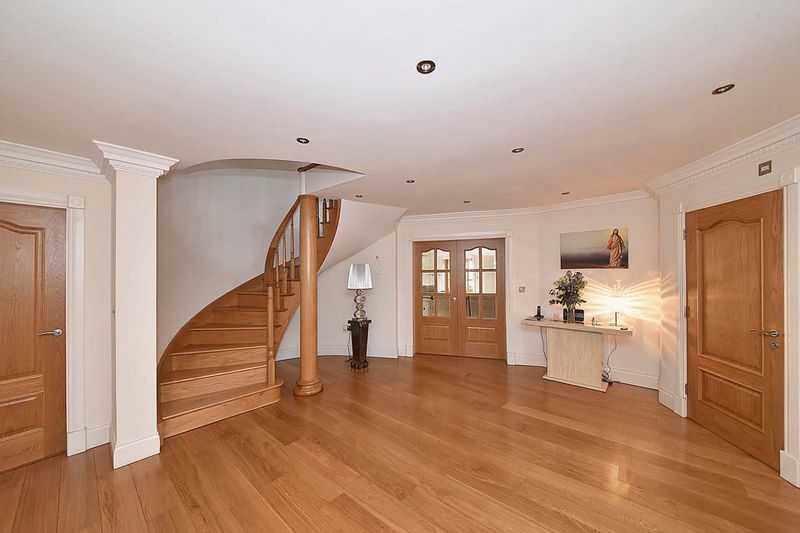 The accommodation of the main house which is cleverly laid out over two floors comprises a storm porch, wide welcoming entrance hallway with solid oak floor and oak staircase curving to the first floor. 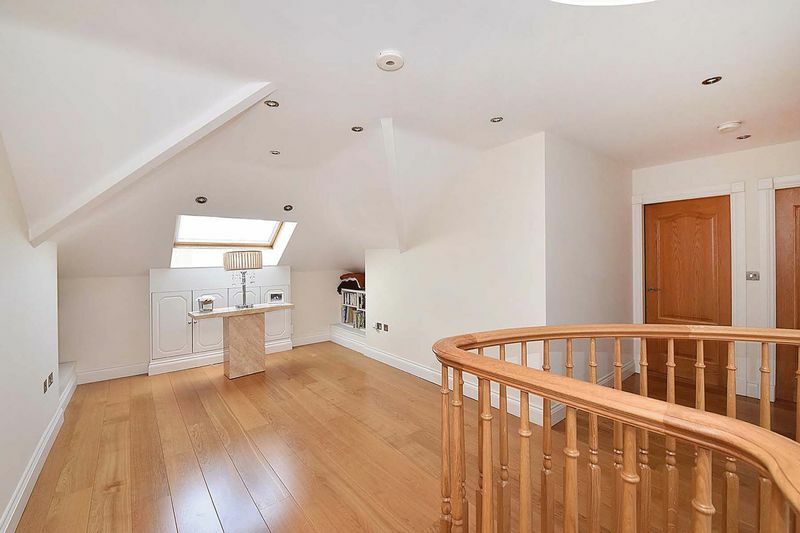 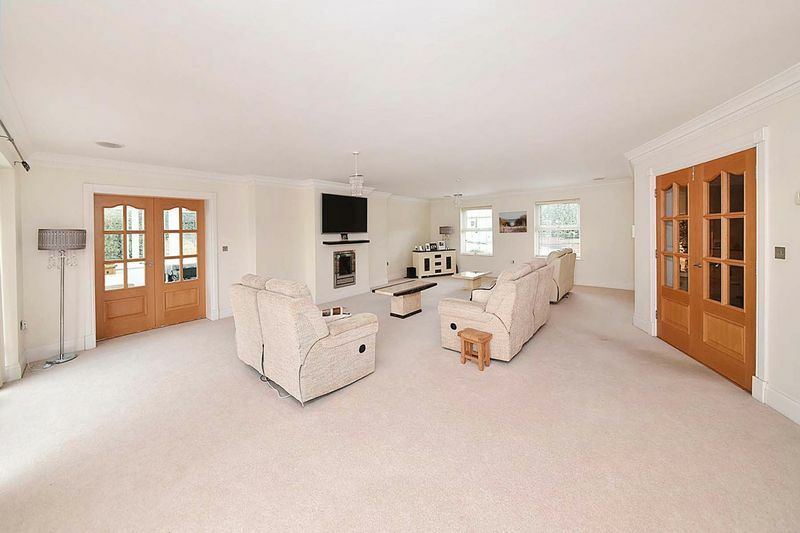 The ground floor includes a substantial principal living room, separate dining room, family room, conservatory, large Clive Christian breakfast kitchen, whilst at first floor level is a master bedroom with en-suite dressing room and bathroom. 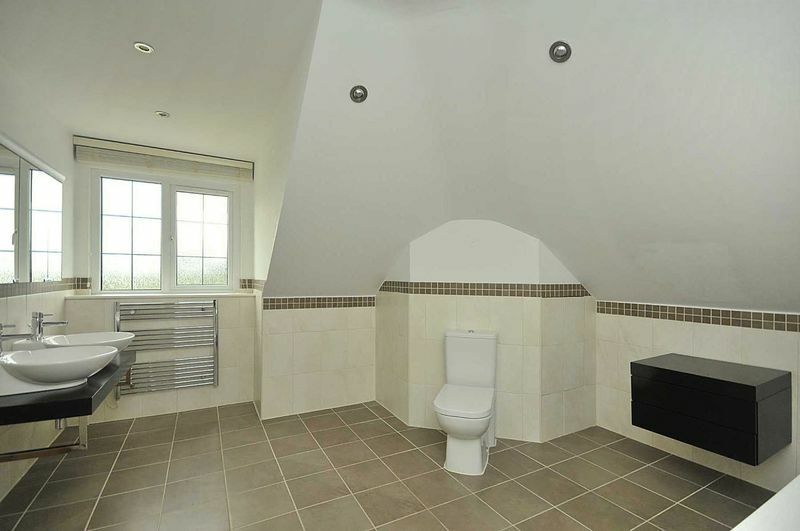 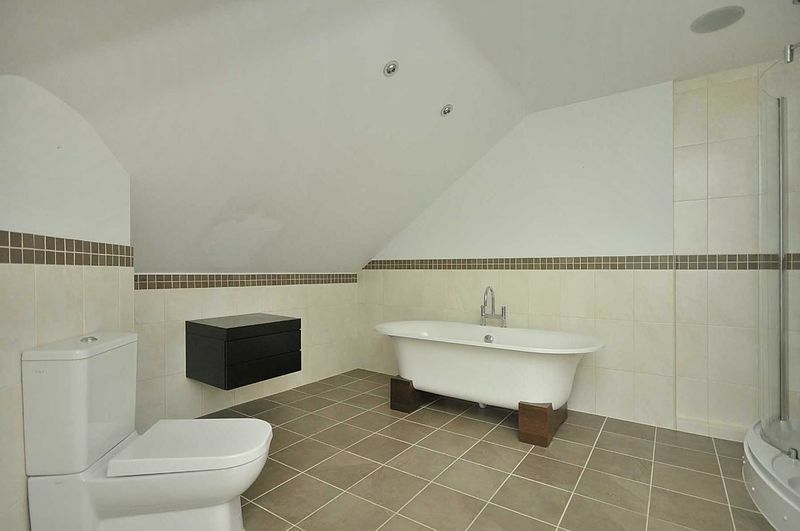 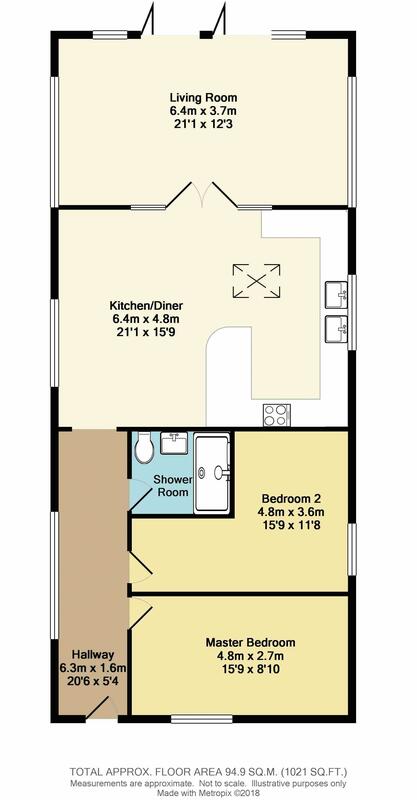 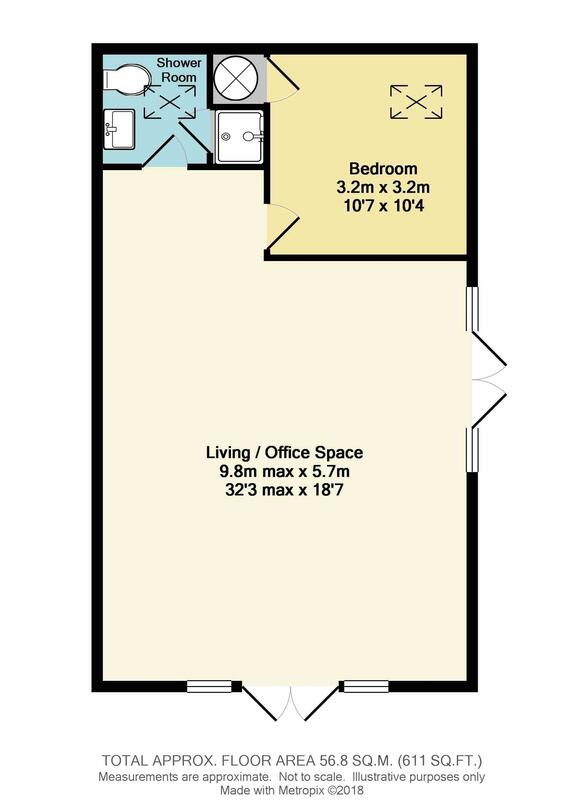 Completing the first floor are three further bedrooms all with en-suite facilities. 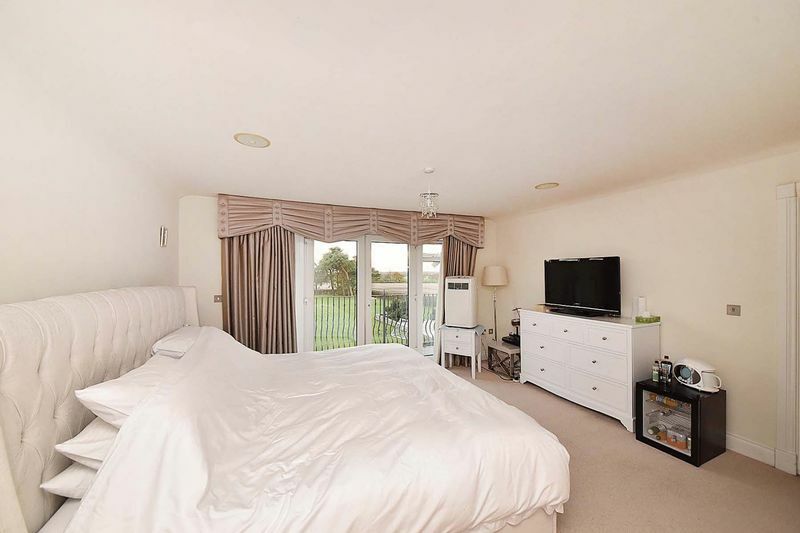 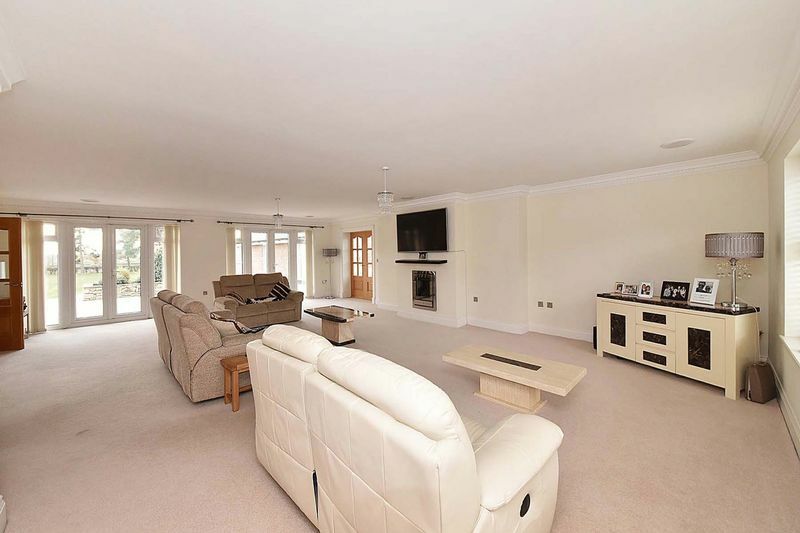 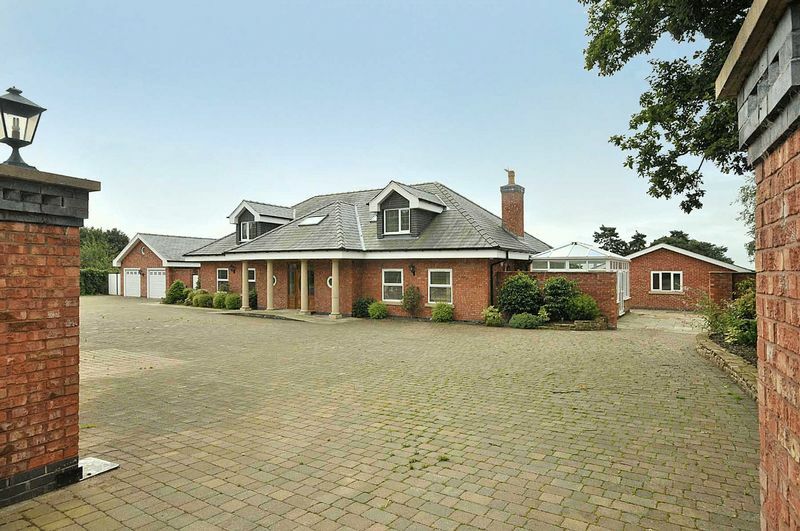 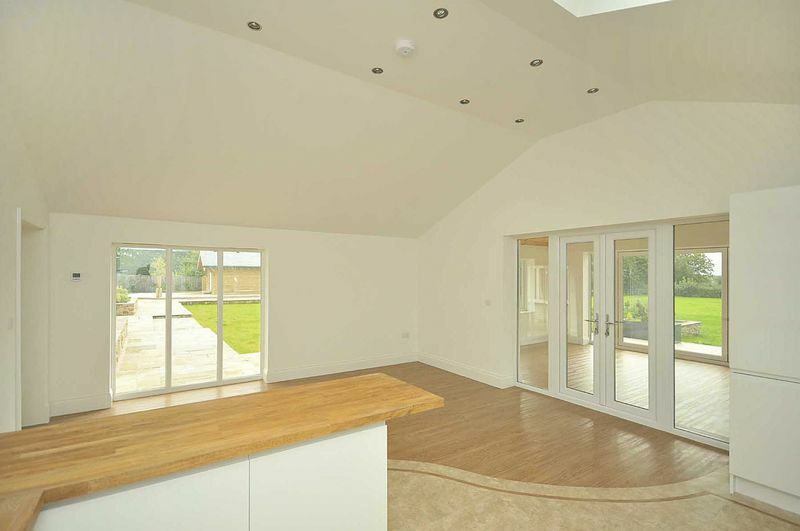 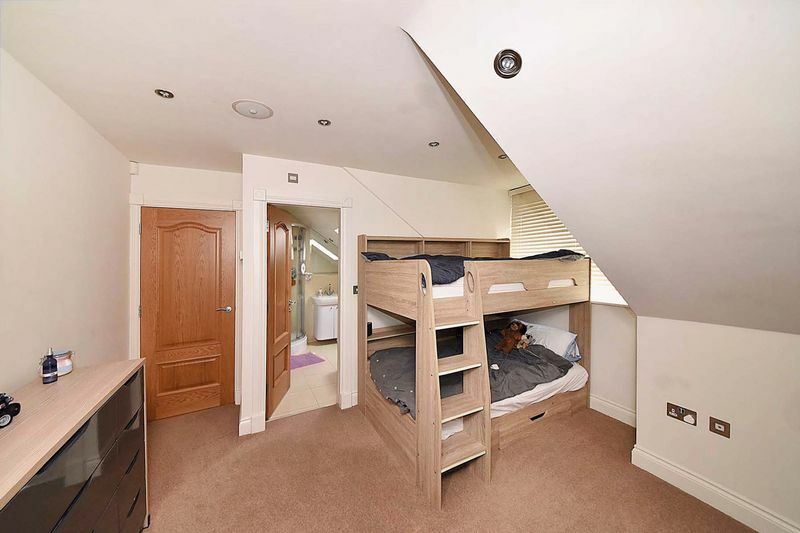 Externally is a substantial double garage with utility room, shower room and leisure room, all of which are connected to the main house. 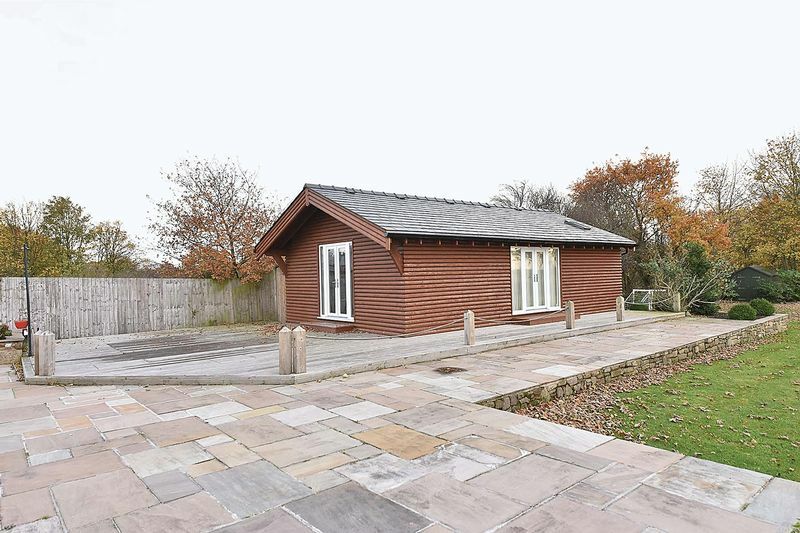 The accommodation for the detached bungalow which can be used as an annexe comprises entrance hallway, open plan kitchen dining room, living room, two double bedrooms and shower room. 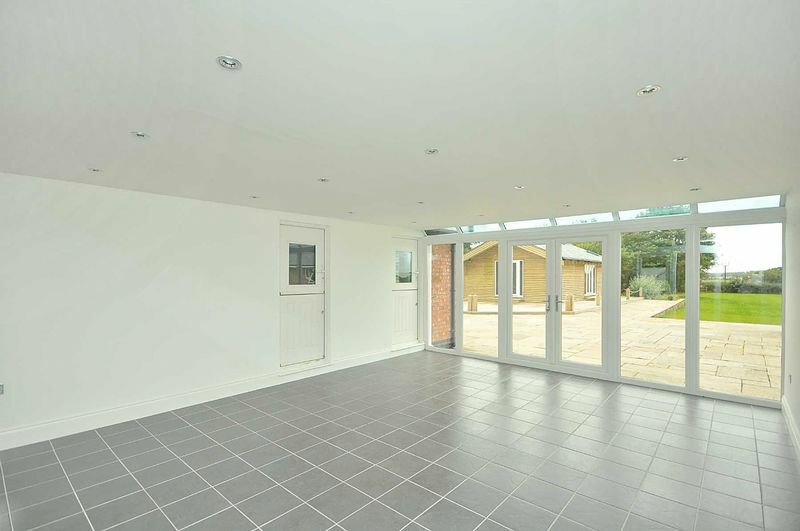 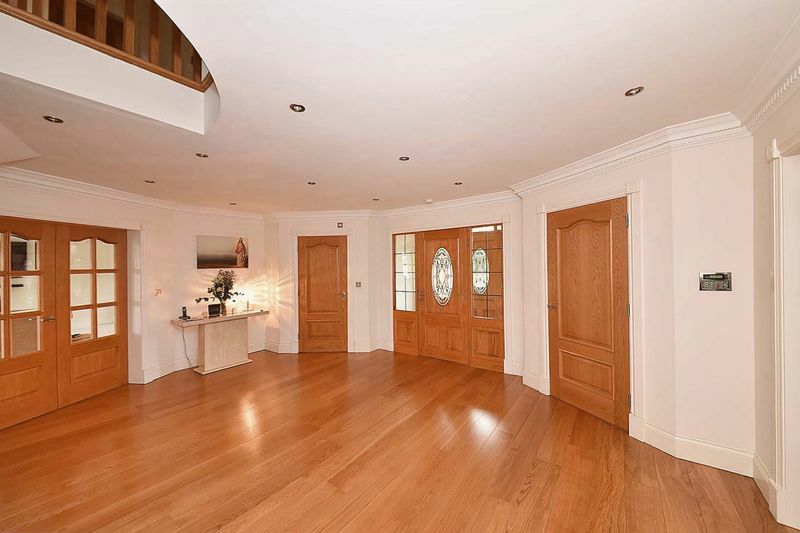 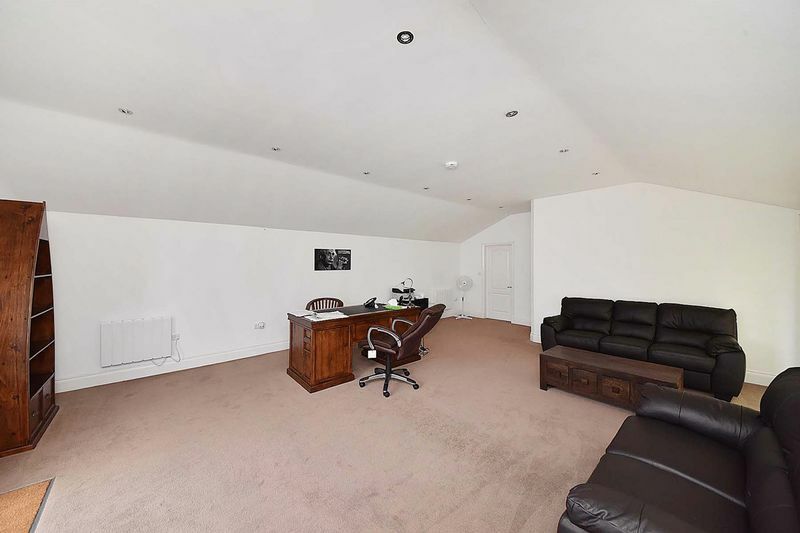 Externally there is ample forecourt parking and to the rear is a substantial Indian stone paved patio area incorporating a super summer house currently being used as a home office but is a versatile space that could be used as a home gym with shower facilities. 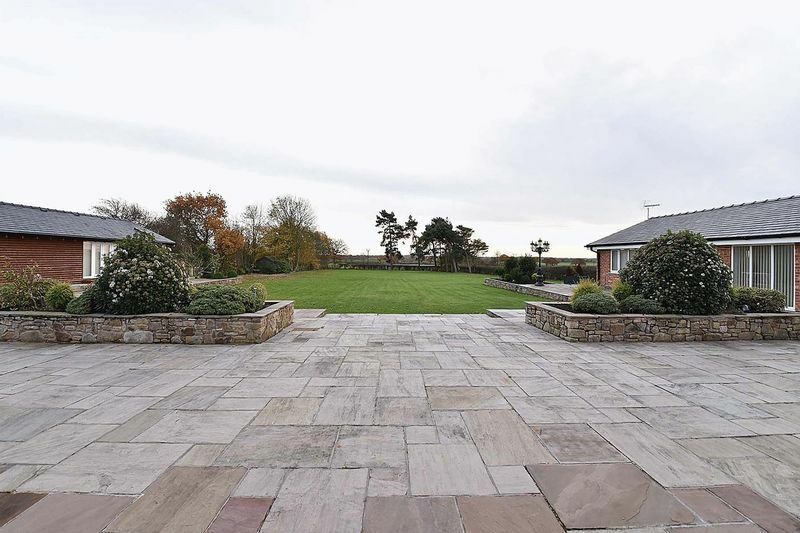 Beyond the beautifully landscaped patio is a superb garden laid to lawn with stunning views over open countryside. 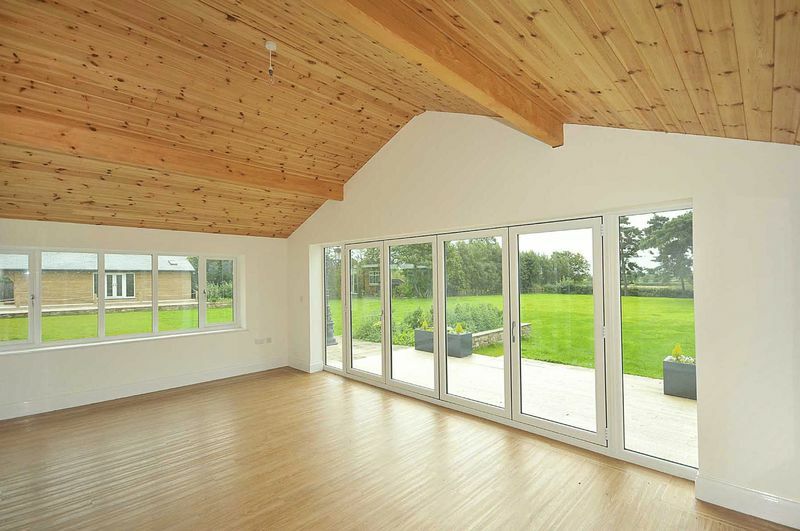 Croft Lodge has been meticulously finished providing substantial accommodation done to high quality. 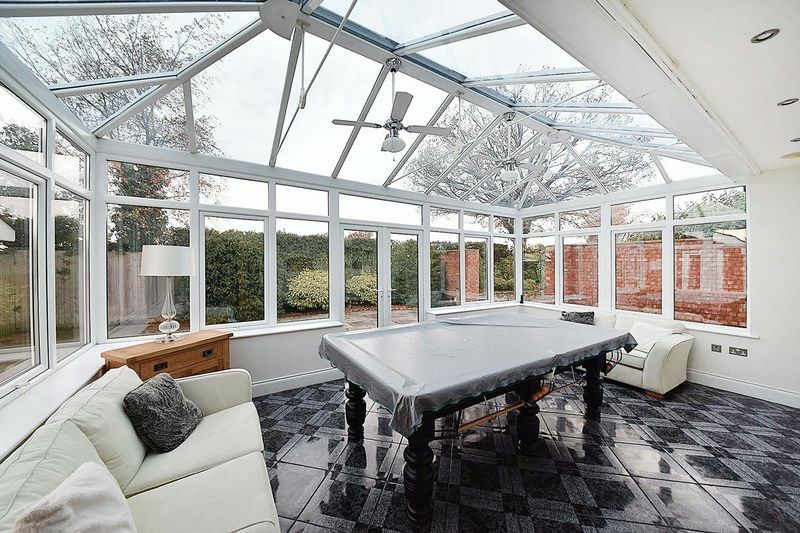 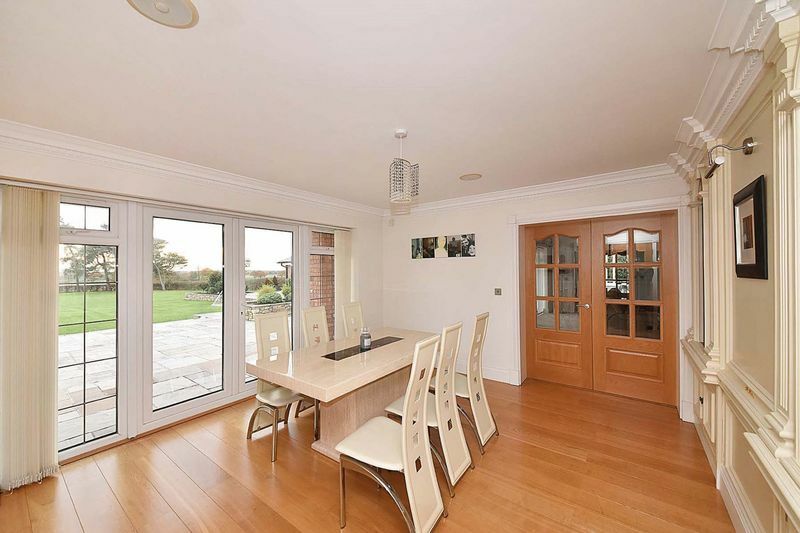 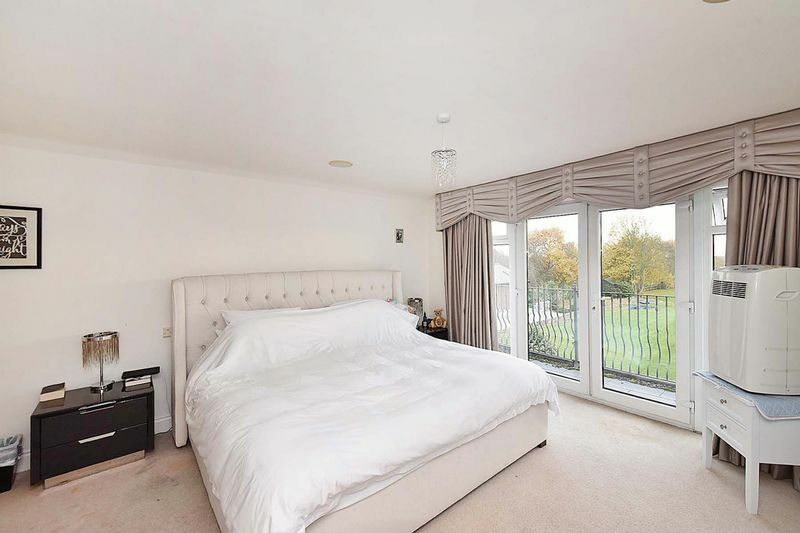 The house is completely heated by under floor central heating, fully double glazed with Upvc double glazing and numerous features externally such as a fountain, external mood and security lighting. 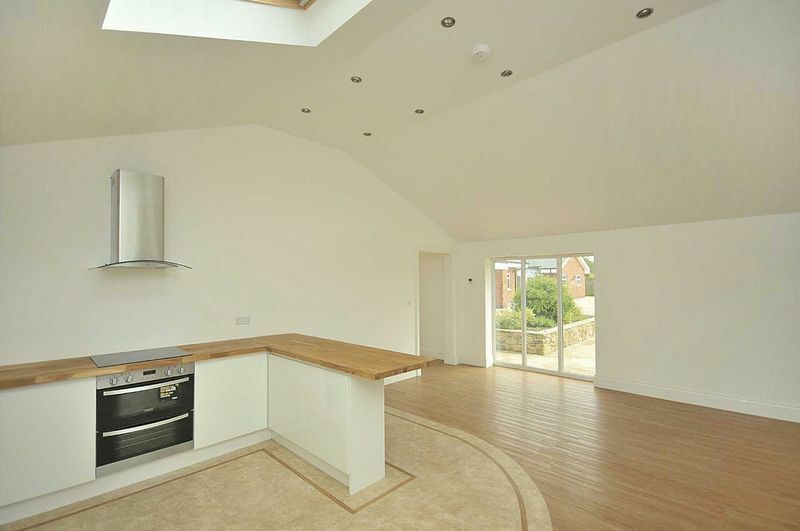 The kitchen comprises every modern appliance and the bathrooms include top quality sanitary ware throughout. 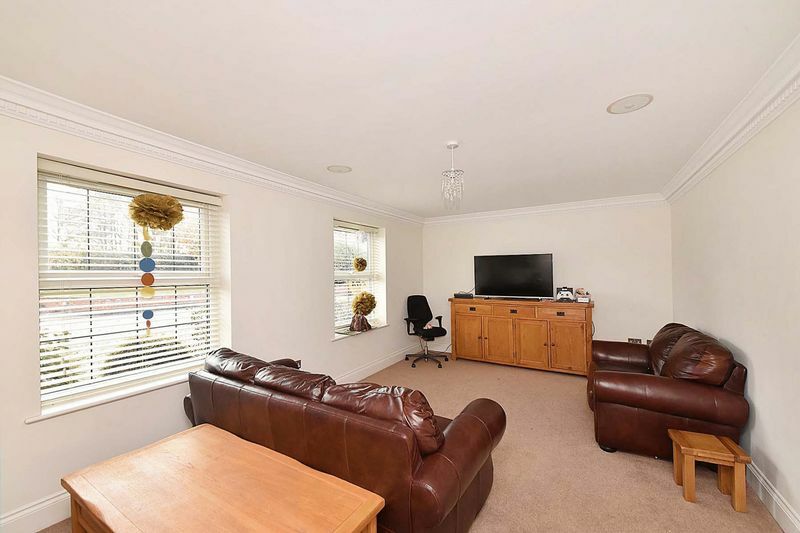 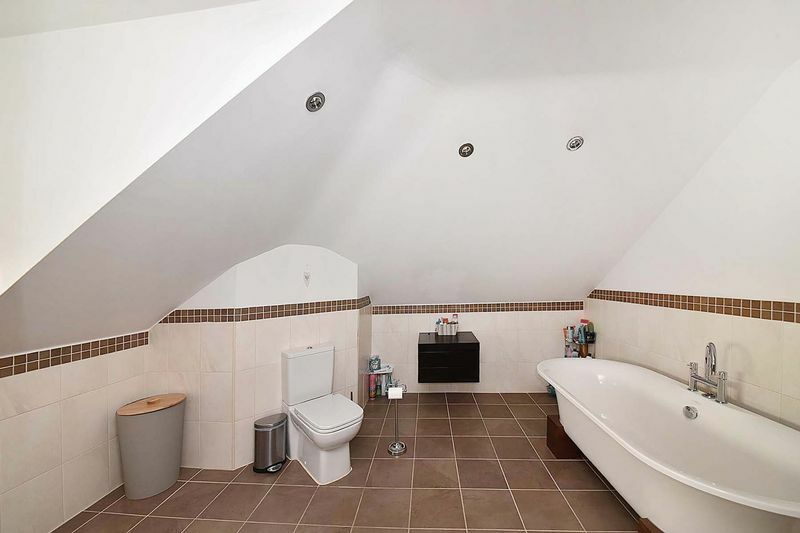 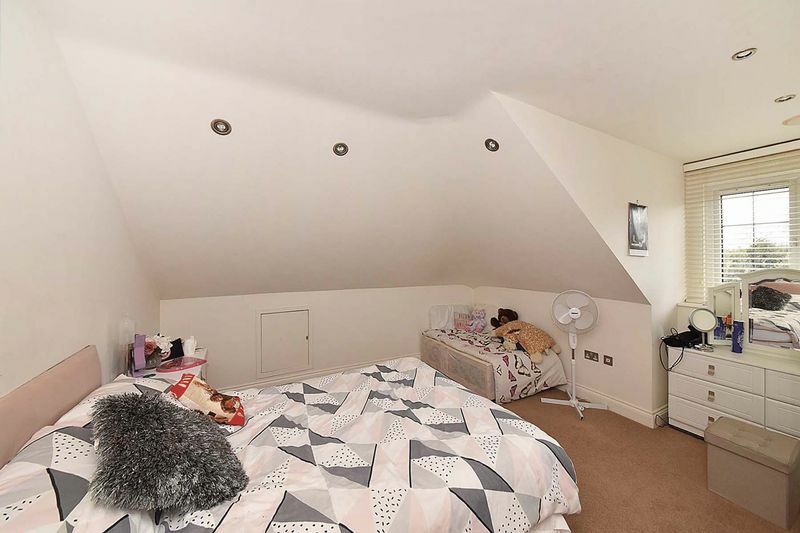 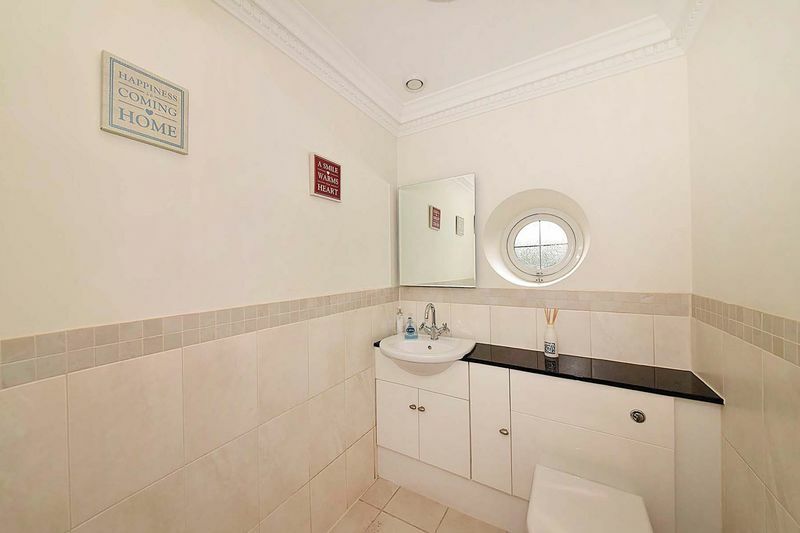 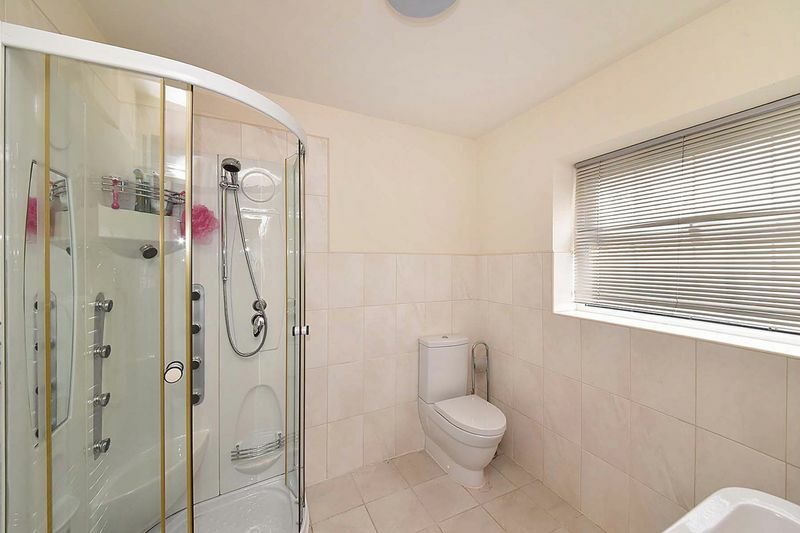 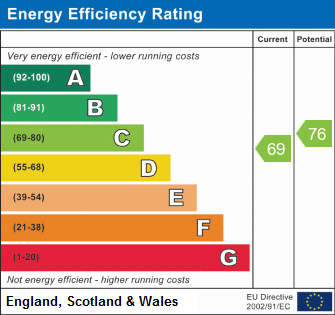 There is an eco friendly heating system utilising rain water and above all else the property must be fully viewed to appreciate the fabulous accommodation on offer. 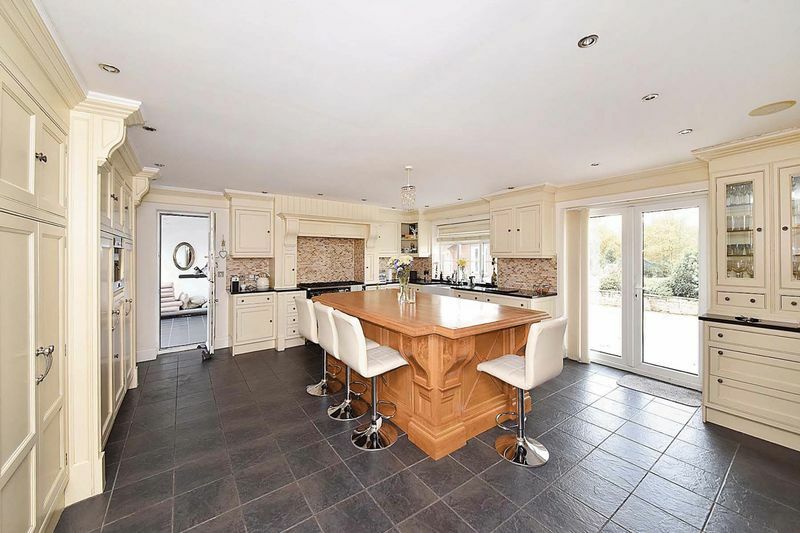 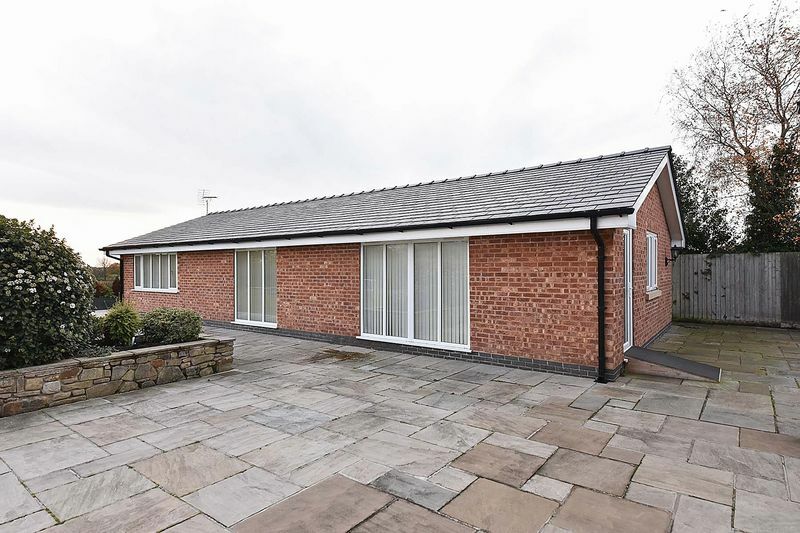 The area generally is characterised by a mixture of farm type properties and the property enjoys a fabulous view over open farmland and is set within ten to fifteen minutes drive of both Knutsford, Hale and Altrincham. 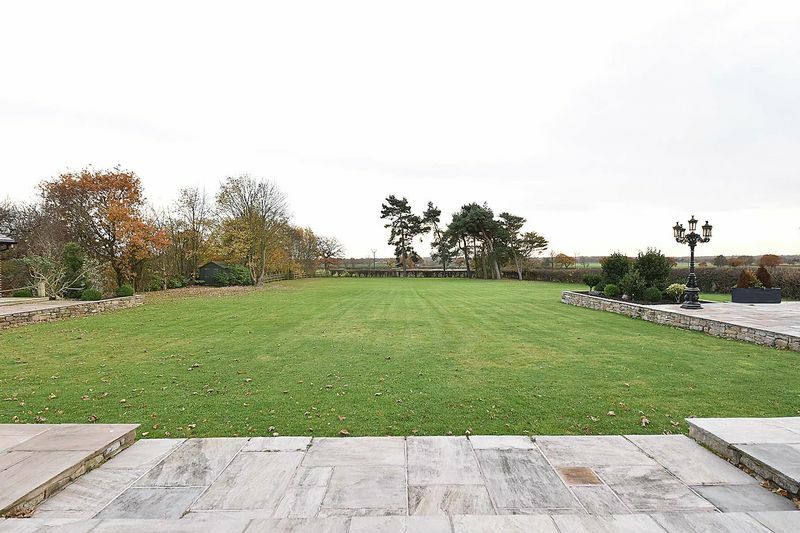 The urban motorway network and International Airport are close at hand, sporting and recreational facilities abound. 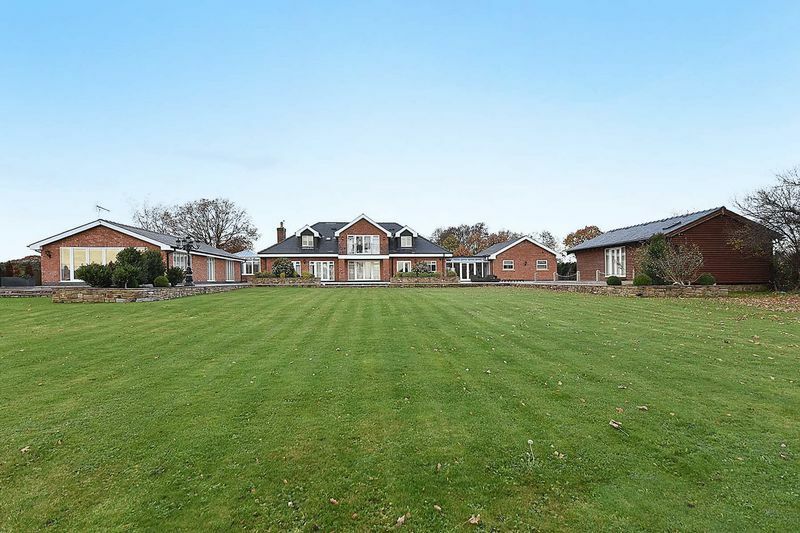 From the centre of Knutsford proceed along the A50 in the direction of High Legh. 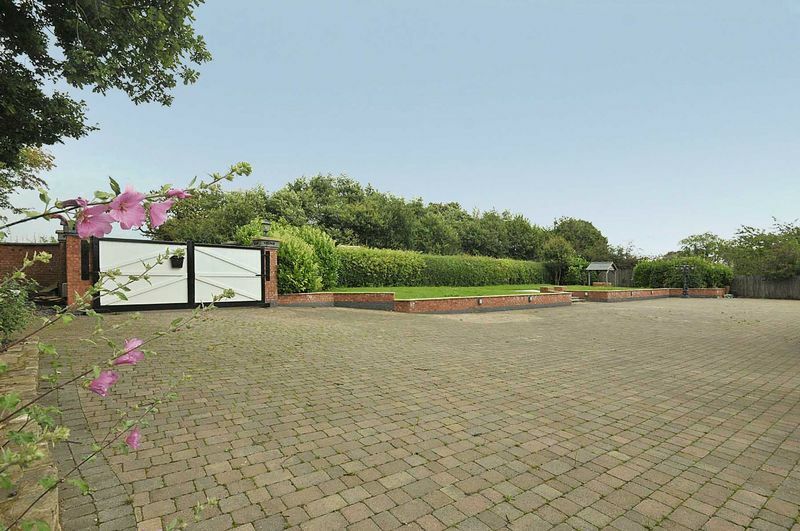 Continue past High Legh Golf Club and turn left into Swineyard Lane. 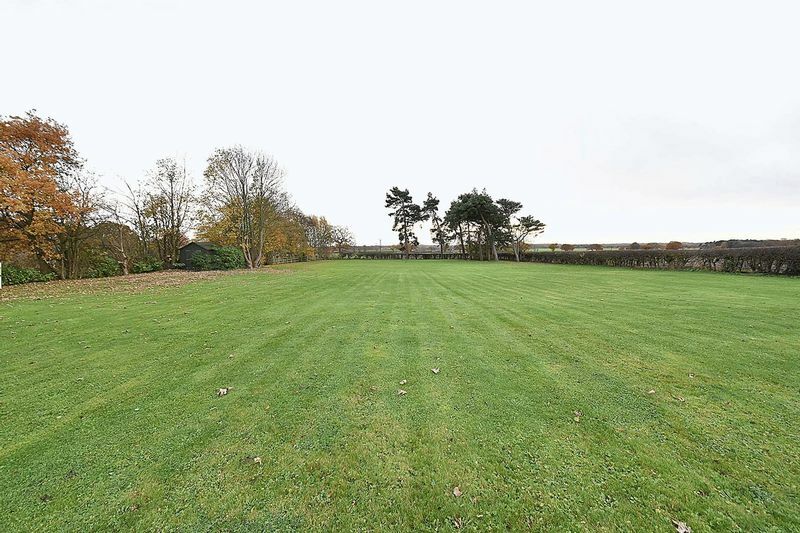 Continue for approximately four hundred yards where the property will be found on the left.